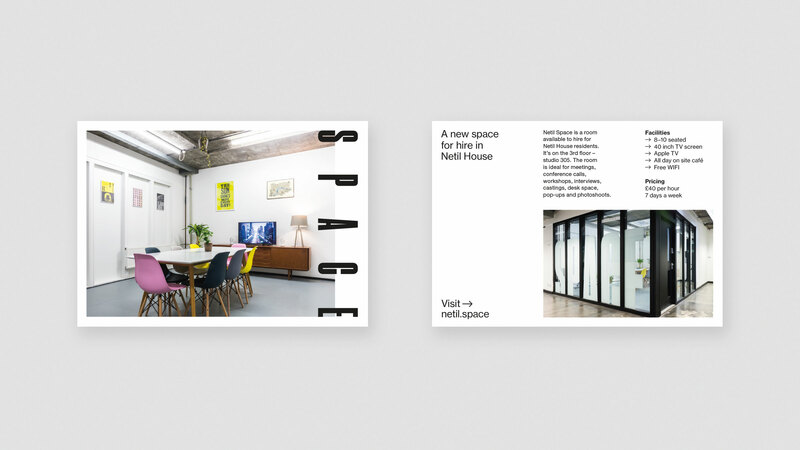 Netil Space is a meeting room for conference calls, workshops, castings, photo shoots and interviews in Netil House. 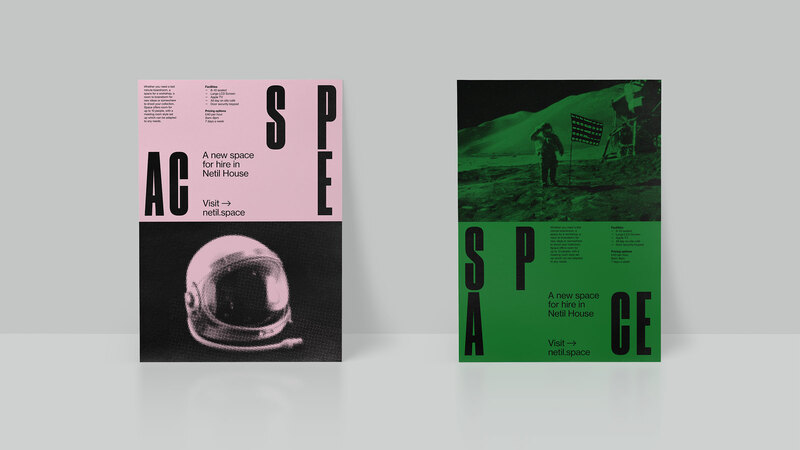 We created a bold, flexible typographic identity supported by playful archive ‘man on the moon’ space imagery. 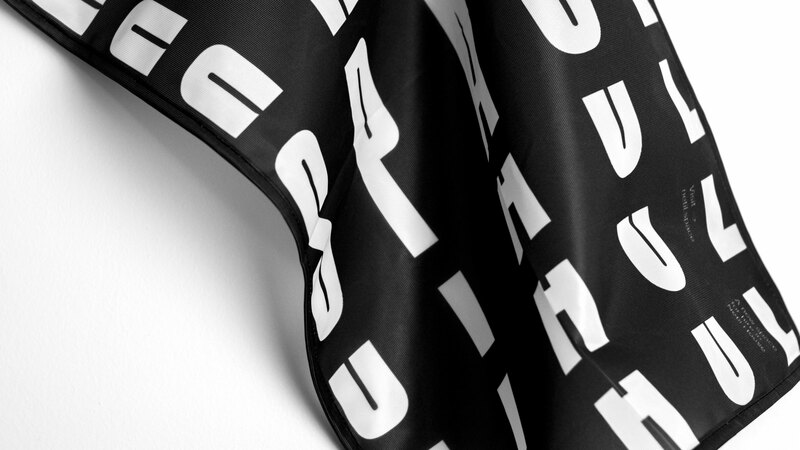 We designed and built the website in Craft and tenants are able to book the space online with ease.